A lot of clients I work with want to get on a fast track by mailing out letters to prospects from list they purchase from list service providers. While this idea seems like a good one, most companies who do this themselves end up in spam block list hell. Why? Because it is real easy to get yourself banned by your registrar, host service provider, and end up on a spam block list by not following the unspoken rules for email list management. The CAN SPAM Act enacted by congress years ago allows you to send out unsolicited messages to list in bulk mode as long as you follow the rules. However, just because the government says you can do this does not mean its easy to do. The first thing you need to know is that the top USA based email list management services such as MailChimp or Constant Contact take a very dim view of mailing to list that you buy. They don’t like it, and they have ways of determining on the very first attempt to mail that your sending an email to a list you did not build yourself. And they SHUT YOU DOWN when that happens. There is however a great way to rehabilitate an old list you might have, or to clean a new list you have purchased. Just remember a few important points. Make sure you understand the rules of the road as far as SPAM compliance is concerned. Keep a block list available of all the emails from people who reject your emails. You can never mail to those folks again so you have to purge new list of those emails. Make sure you never run a new list on a USA based provider. If they identify you as a spammer, you never get to use them again. And you definitely want to use them because they can insure your messages go to the Inbox instead of the spam box. So here is the formula I recommend for cleaning a list. 1. Don’t buy harvested list. You can acquire legitimate Opt-in list that are CAN SPAM compliant. Many vendors will send an email on your behalf to list they have grown legally. If you can buy a double opt-in list that is even better. Some companies will help you grow a double opt-in list as well, but can be a bit pricey per opt-in. Be clear about your goals, give as precise instructions on the demographic your looking to reach, and make sure the list provider refunds your or replaces bad records. If you need help acquiring legal list give us a call we can help! 2. Do not mail from your desktop mail client. This is the quickest way to end up on SpamCop and or get a site blocked by the registrar. But if you do it yourself don’t then do not target your domain name for the landing page. Get a different domain and setup your conversion or landing page on this new domain. Don’t identify your company in any way until you have established that the person your talking to is not out to harm your company. 3. Use a safe list management tool instead. I recommend http://ymlp.com They are based outside the USA and have a higher degree of tolerance for this type of mailing. The list management tools are easy to learn and you can integrate mailing templates with your list. DO NOT USE constant contact or mail chimp for initial paid list mailings, they will permanently ban you if your list are bad. 4. 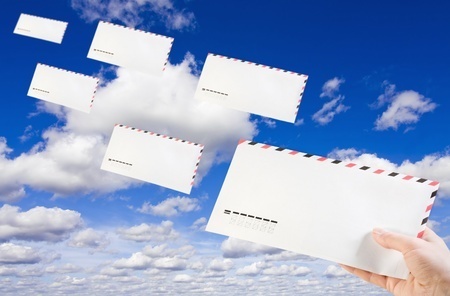 Make your first mailing purely text based, no images. Keep it short. Use rehab language i.e. We are reaching out to you about our product or service. If you do not wish to receiver further mailings please follow opt out by following the link to unsubscribe below. You will be immediately removed from our list. Make sure you put a CAN SPAM compliance notice at the bottom of your page. The unsubscribe links are typically included automatically by the list vendor. 5. Once you wash a list on YMLP a few times, you can move it in small clumps of a 100 per mailing to Mailchimp or Constant Contact. Both of these companies are pretty good at avoiding the spam folders of the target email accounts. YMLP isn’t not good at this, but its great for testing a list. 6. Go SLOW. Proper list management growth is a lengthy process but well worth the effort. Make sure your using your own marketing efforts to grow your list as well. If you have a cart and are collecting sales info on clients, those list are entirely legitimate and can be added to a USA based provider list without concern. 7. Use an Auto Responder to carry on followup marketing. If your email is accepted you can recommend the user signup to learn more, or take a training class.. If you get someone to interact with you by confirming opt-in to a list your building you can then setup 10 pre-designed emails to go out over 20 weeks. These will automatically go out based on the signup date. This is a fantastic method to build top of mind awareness. 8. 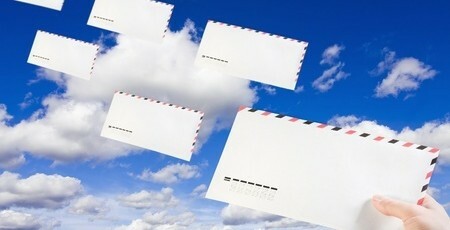 Sweepstakes are great ways to build a targeted email list. Instead of buying a list, run a sweepstakes. The prize you give out should be something your target demographic can use. A contest is even better for shaping the list demographic. 9. Once your list is established, be sure that you mail a minimum of once a month to it. I can help you with newsletter content if you need it. The key is to not let a list grow stale. If you don’t mail at least once a month your bounce rates, and unsubscribes will rocket. 10. That’s the short list. If you would like help growing a list, or running a legitimate spam compliant mailing process give us a call at 858-877-3103. We can help!